Our company is on Manta.com! 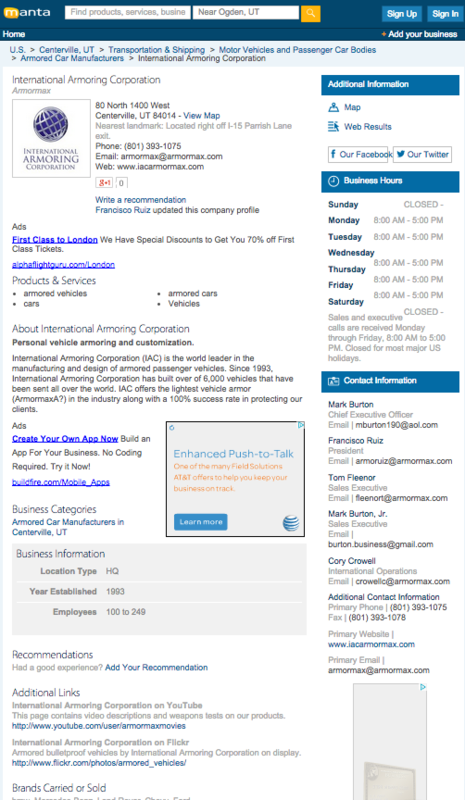 International Armoring Corporation (IAC) is the world leader in the manufacturing and design of armored passenger vehicles. Since 1993, International Armoring Corporation has built over of 7,000 vehicles that have been sent all over the world. IAC offers the lightest vehicle armor (Armormax) in the industry along with a 100% success rate in protecting our clients.